Planning a trip to Norway? Make the most of your visit with a standout stay in one of these alternatives to traditional hotels. 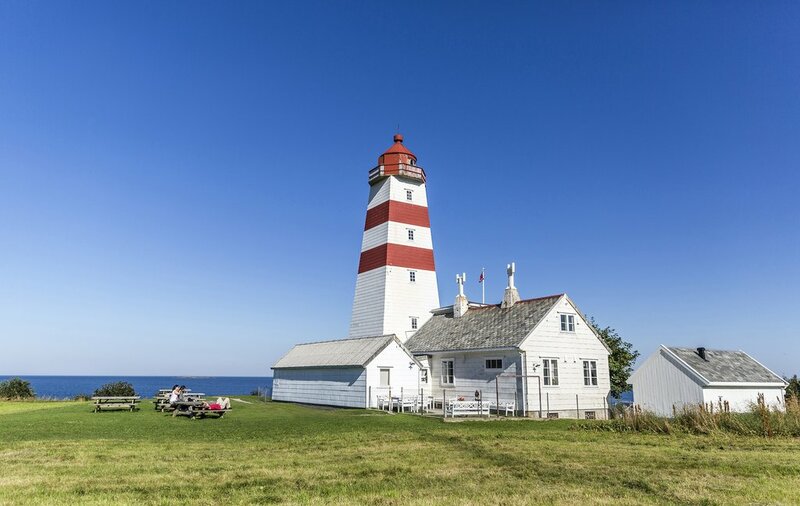 Spend an unforgettable night in a lighthouse, igloo, or fisherman's cabin, and you'll definitely have something to write home about. Norway isn’t a typical destination, so why would you stay in a typical hotel? From ice hotels to farm stays, the country is full of unique, unexpected, and entirely unlikely places to rest your head. Many of them promise easy access to the wilds of the Norwegian wilderness – fjords, valleys, mountains, and canyons – right on your doorstep. Sure, you may have to ditch some modern comforts like WiFi and TV for a day or two, but you’ll never think of a hotel the same way again. If you’re looking to get as far away from civilization and as close to nature as possible, a farm stay may be just the thing: These cozy, welcoming spaces are surrounded by some of Norway’s most beautiful scenery, and many of them have been around for over 100 years, hosting hunters, fishermen, and explorers for generations. 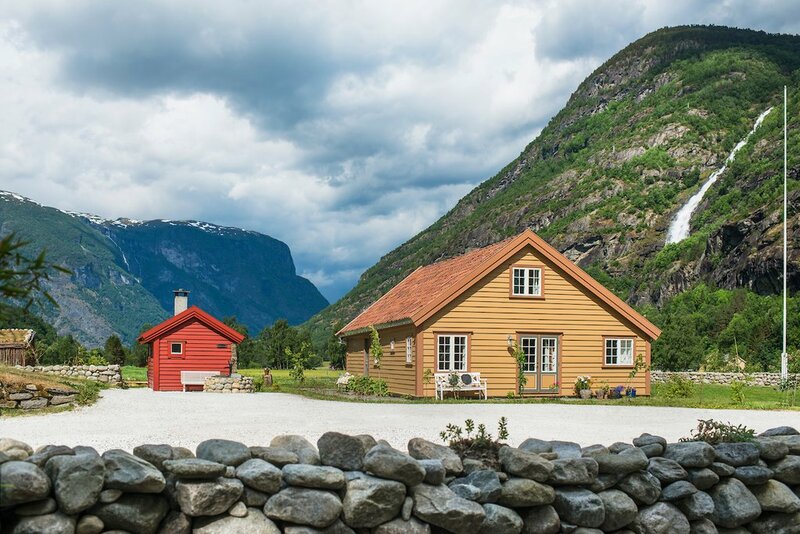 A stay at the Riverside Farm Lodge in the Aurlandsdalen Valley ticks all the boxes, including a backdrop of looming mountains, picturesque waterfalls and crystal clear fjords that drew British nobles for flyfishing as far back as the 1840s. These days, hosts Bjorn and Tone offer meals in a historic smokehouse made with produce from their own garden, and have a sauna and wood-fired outdoor hot tub on the property for evenings underneath the stars. 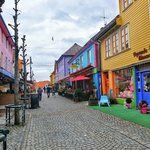 Best of all, they’ll organize tours of nearby natural wonders, as well as visits to craftsmen and artisans in nearby Aurland, so you won’t have to lift a finger to enjoy an immersive Norwegian experience. These charming cabins run the gamut from bare-bones to well-stocked comfort, but all of them give you the chance to experience a Norwegian tradition. 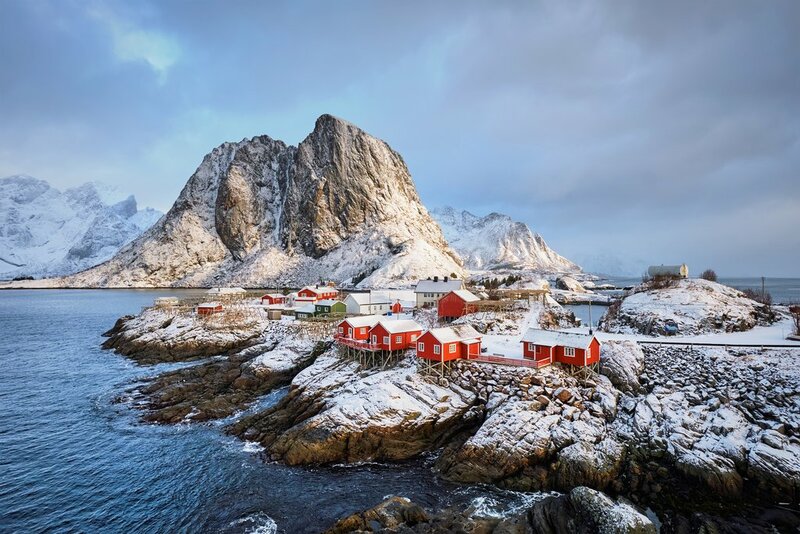 Rorbuer (singular: Rorbu) date back to the 12th century, when they offered much-needed shelter to Norwegian fishermen in the winter cod season. Today, they are still built partially on land, partially on stilts over water, to allow for boats to paddle right up to their doors and weary fishermen to disembark. 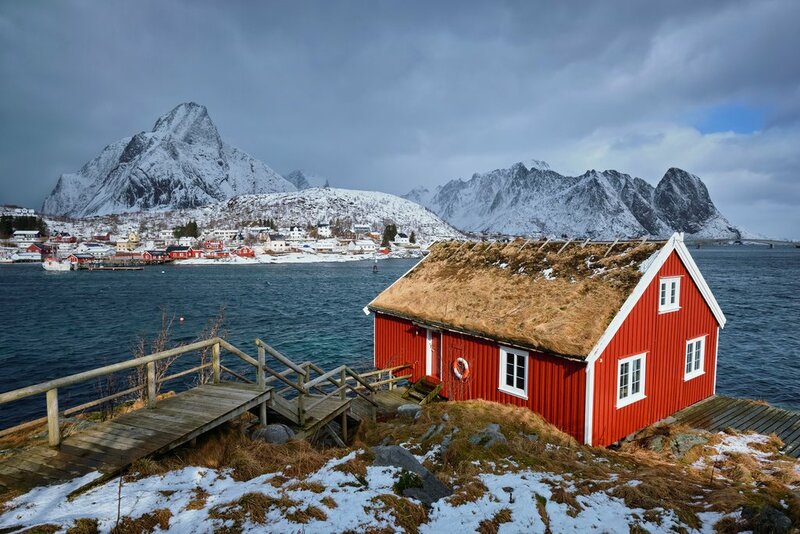 Lucky for you, many of them have been renovated to accommodate 21st-century travelers, including the Svinoya Rorbuer just across the water from Svolvær in the heart of the Lofoten islands. A stay in one of these quaint, red-painted cabins really feels like a trip back in time, though some small luxuries have been taken into consideration, like fully equipped kitchens, a fine restaurant with fish specialties in a cozy, wood-paneled wharf dating back to 1828, and a wealth of organized activities including hiking, fishing, nature safaris and Northern Lights tours. Live how the fishermen lived hundreds of years ago, but better. Hotels are all well and good, but if you really want to experience the wilds of northern Norway in the most authentic way possible, take inspiration from those who know it best. The indigenous Sami people have been living and working above the Arctic Circle since prehistoric times, making them one of Europe’s northernmost indigenous people today. Their intense connection with nature has allowed them to survive and thrive in some of the world’s harshest conditions, herding and breeding reindeer, crafting beautiful works of art from their antlers and bone, and passing down folk tales, games and dances through the generations. 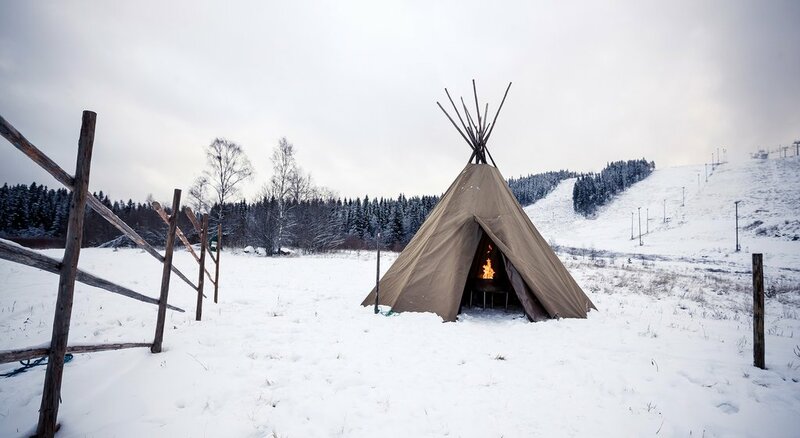 Today, even you can take part in this rich cultural tradition with a stay in one of several Sami Lavvus or traditional tents. Far from the lights of civilization, these are some of the best places to spot the Aurora Borealis, and to experience an all-encompassing quiet like one you may never have known. 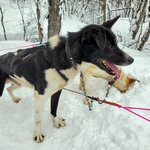 A stay in a Lavvu on the Dankarvågvatn Nature Reserve north of Tromsø, or at Camp Tamok by Lyngsfjord Adventure, south of Tromsø near the Swedish border, can be coupled with ice fishing, reindeer sledding and many other exciting winter-weather activities. Surrounded by ice but completely warm and cozy: What could be more Norwegian than that? While some of these uniquely arctic abodes are actually made of ice, others are built in the shapes of igloos, with all-glass curved roofs for enjoying the 360° scenic views. With heated floors, working kitchens, enclosed bathrooms, and a table for two, the Northern Lights Igloos provide a particularly romantic option for couples, right on the tip of an exposed promontory overlooking a fjord. 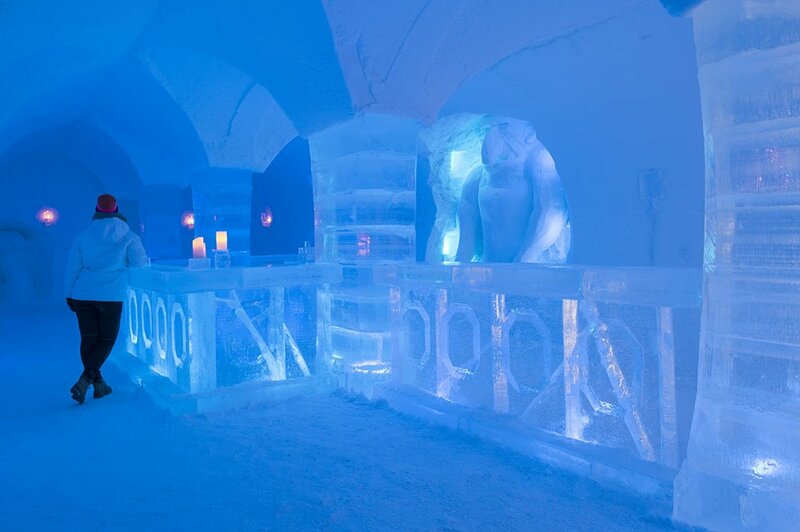 The Sorrisniva Igloo Hotel is an actual hotel made out of ice, the first in Norway and the second in the world. Every summer, as the snow melts, the ice hotel disappears, and every winter it’s built back up again in five weeks, making for a truly unique, seasonal experience. Finally, in a unique twist, the Kirkenes Snow Hotel offers an impressive main building adorned with intricate ice sculptures, enchanting, sprawling grounds dotted with cabins, where resident reindeers and huskies roam, and a nearby fjord where you can try your hand at king crab fishing. If you tend to marvel at the makings of mankind just as much as the wonders of nature, consider a stay at a hotel that combines the best of them both. 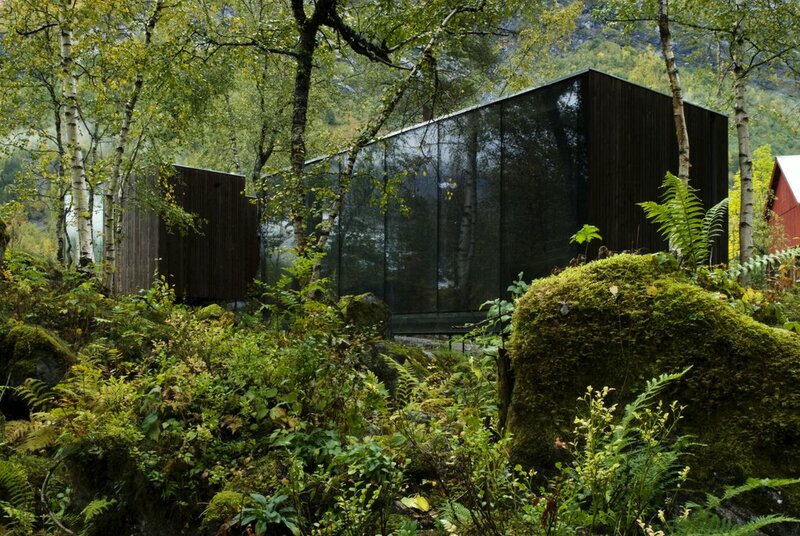 Norway’s landscape hotels feature beautiful and thought-provoking architecture that both enhances and is enhanced by the natural elements around it. The Juvet Landscape Hotel is a perfect example, with its scattering of small, sustainably built, individual structures across the property, the better to preserve the delicate balance of this natural reserve. No two rooms are alike, but most have wraparound floor-to-ceiling windows and a dark color palette to make the spectacular panoramas really pop. The hotel even maintains some of its original historic buildings, dating back to its early days as a farmstead, including a mill, an orchard cabin, and an old cow barn with an open fireplace where guests share a communal dinner. Architects Jensen & Skodvin have created a magical retreat where old and new Norway meet in stunning symbiosis, and the hotel itself is the destination. A lone tower on a windswept, rocky bluff, with nothing but sea and sky for miles around. A beacon of hope and safety for passing ships: What could be more romantic than that? Songs have been sung and stories have been told about sailors and their ships for hundreds of years, and now travelers to Norway can become a part of this legacy. With the longest coastline in the world, it’s no wonder that Norway has an absolutely dizzying array of lighthouses, many of them welcoming guests. If you’d like to stay in one, however, be sure to plan ahead: they’ve become more and more popular over the years. Out of 200 lighthouses dotting the Norwegian coastline, 60 are available for bookings. 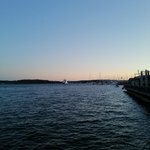 Norway’s official tourism website has listings, and so does Lighthouses of Norway, along with extensive information and blog posts about each charming property.